We are continuing another week of amazing project ideas featuring our new Kraft in Color Collection. And for those of you that followed along last week and tried throughout the week to win a box of these fun products, we'll be posting those later today...so be sure to check back!! Hello everyone! Candace here from Scrappin' 2 Little Princesses! When I first laid eyes on the Kraft In Color Collection my creative mind was spinning! There are so many colors/patterns in this line that making projects with any color combination would be possible. I choose to work with some of my very favorite colors to create something yummy!! 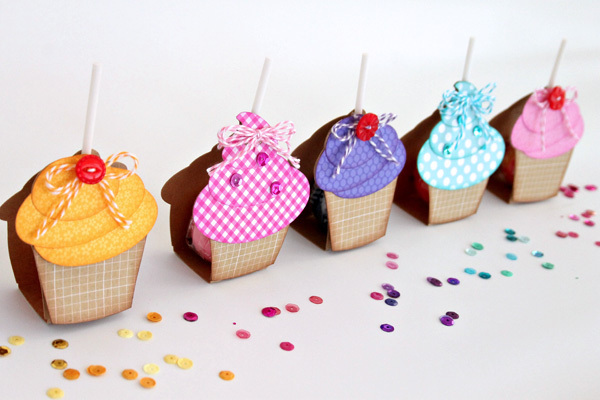 I used some cutting files from SVG Cutting files to make the cutest lollipop covers to add onto birthday gifts. I think kids will love these! The lollipops fit right inside and I tied them up using Doodlebug twine using red buttons as cherries. On the cupcakes that don't have a cherry, I used some of the new gorgeous Sequins as little sprinkles. Are you ready to eat these yet?! I have a feeling I will be using these sequins on every single project!! Thanks for stopping by to have a peek at my project! I hope you have been inspired today! 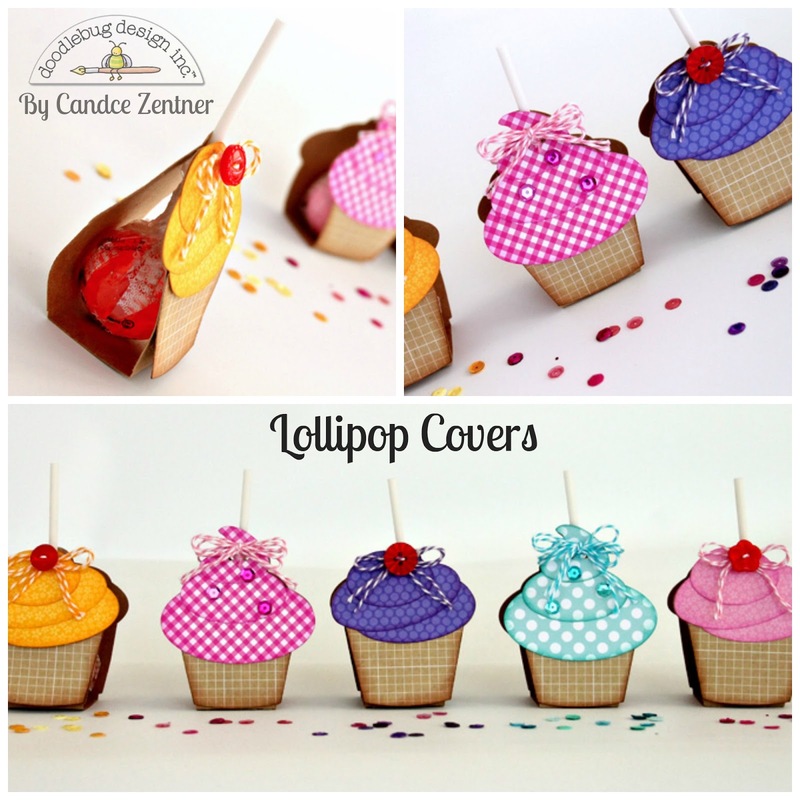 These are just adorable Candace!!! I love them! These are so fun Candace!!! Oh my...these are adorable! I'm always so inspired on this blog! Thanks for all the great ideas! So cute!! 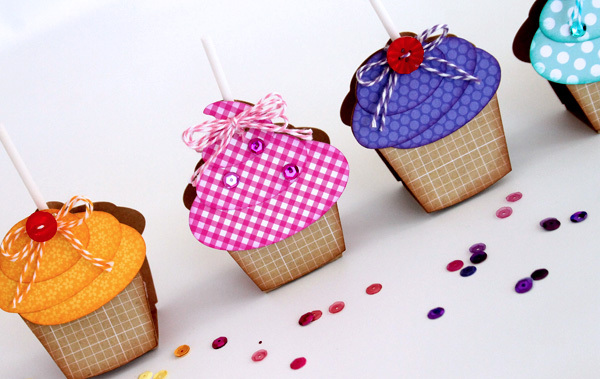 These really do look good enough to eat! 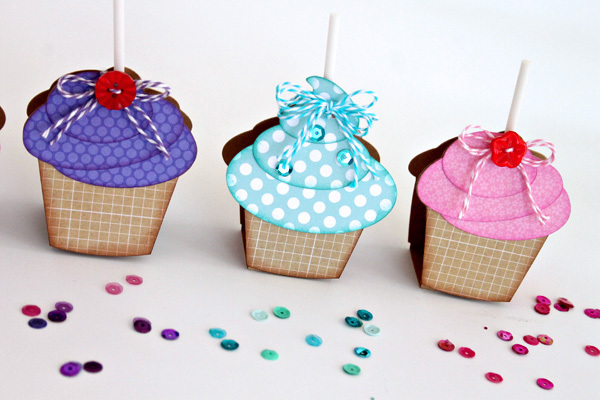 These are so, so, so cute and the sequins just add to their adorableness!! 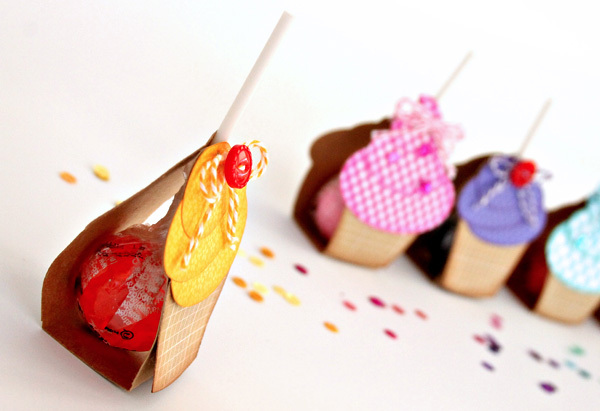 Love,Love, Love these adorable treats! omgoodness! Those are soooo cute!! !